If you are a baseball fan, last night was spectacular. Even more so, if like me, you were fans of either the Tampa Bay Rays, Boston Red Sox, Atlanta Braves or St. Louis Cardinals. Well, the Braves and Red Sox fan's wouldn't call last night spectacular...spectacularly horrible...maybe. 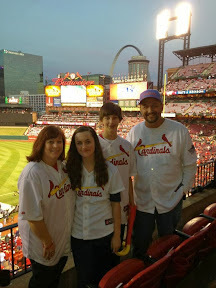 I decided to take LC and my father to the game last name, the Three Chet's if you will. David Price was pitching for the Rays and the Yankees were throwing Johnny Bullpen, or the remainder of their 40 man roster, to save their arms for the post-season. The Yankees had already clinched their spot, the Rays were tied with the Red Sox for the Wild Card slot. Boston was playing the Baltimore Orioles at the same time. On September 3rd, the Red Sox had a 9 game lead over the Rays, a seemingly insurmountable lead. But this is baseball, it's not over until the fat lady sings. The fact that the Rays were now tied with the Red Sox was a testament to the Ray's pitching and the utter collapse of the Boston Red Sox. It didn't look good for the Rays. In the 6th inning, the Rays were down 7-0. Evan Longoria struck out with men on base to end the inning. He couldn't have looked more dejected...he just flipped his bat at home and starting walking out to 3rd base. That's when we decided to leave. First, it was a school night. It was after 9 PM and it would take about 45 minutes to drop my dad off and another 15 minutes to get home. Second, it was 7-0 and the Rays appeared to have given up. So off we went. We listened to the game on the way home, hearing that the Red Sox vs. Orioles game was in rain-delay. Dropping me dad off, we watched a little bit of the top of the 8th inning before heading home. 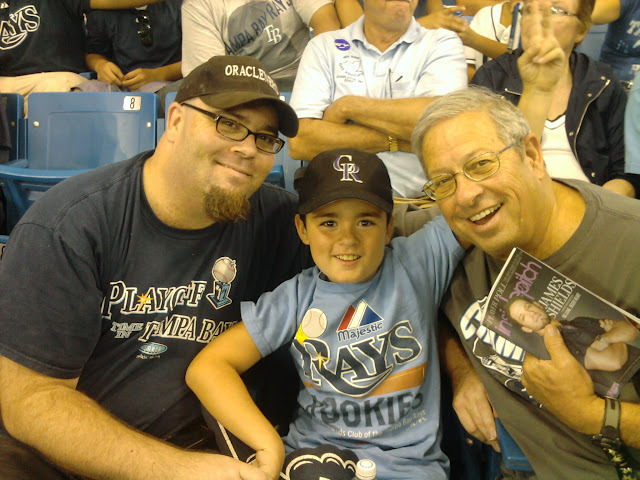 The Rays scored 1 run, 2 runs, 3 runs and had 2 men on base with Longoria coming to bat. I'm thinking he needs to hit a double...home runs are rally-killers (no one is on base...it just "seems" desolate out in the field). Before we could turn onto the freeway, Longoria hits a 3 run homerun to bring the score to 7-6 in the bottom of the 8th. Wow, just wow. HE'S BAAACK: The Rays are bringing their lucky charm to Boston, having called up Dan Johnson, whose list of key hits includes the monumental and momentous pinch-homer off Red Sox closer Jonathan Papelbon on Sept. 9, 2008, with the bat mounted in his house as a memento. Johnson said he'd welcome the chance for history to repeat itself: "I would love to add a bat to the collection, no doubt." Johnson, 32, was thrilled just to be back in the majors, having been sent down in late May and hampered much of the year by a wrist injury. With 2 strikes Johnson wrapped one around the right field foul pole to tie the game. LC and I jumped up, hi-fived, screamed and yelled...wow, just wow. At 11:17, the 10th inning I believe, I sent LC to bed. Around midnight, the Orioles/Red Sox game had resumed and it was now the bottom of the 9th, with Papelbon in to pitch. He strikes out the first 2 hitters. With 2 strikes, Chris Davis doubled. Nolan Reimold doubled to switch places with Davis, tie game. Then Robert Andino singled to left scoring the pinch-runner giving the Orioles the win. As this was announced, Longoria was coming to the plate for the Rays (this is how I remember it anyway)...couple of pitches later, he hits a screamer down the left field line barely clearing the left field wall. Rays win, Rays win! 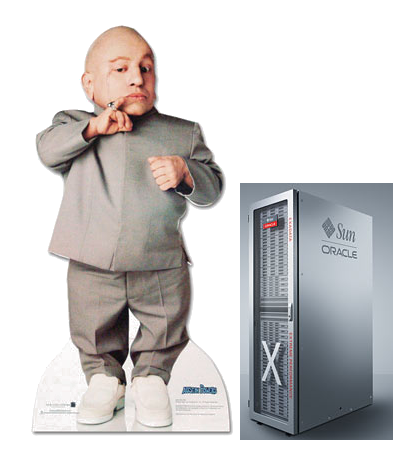 The Exadata Mini - Exclusive Picture! Vern Troyer, the actor who plays "Mini-me" from the Austin Powers movies, stands 32 inches tall, which for the rest of the world, is 81.28 centimeters. It stands at 20" tall, and as Mr. Dignan reports, this could fit under your desk. Recently I was asked to create some merchandise that fell outside of my norm. 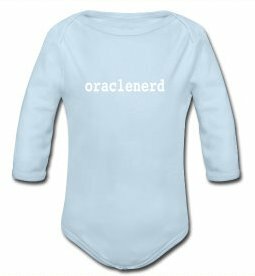 Specifically, I was asked to create a onesie, or piece baby outfit. I tried using my normal method of creating a simple png (pixel) graphic in gimp, however, when I tried to add that to something other than a regular old t-shirt, the application didn't give me the option to do so. Apparently I needed to use vector graphics. I should have known this, since I'm a design genius and all that. I thought I could continue to use gimp and simply save the file as an encapsulated post script and upload it. Spreadshirt has a semi-automated system that, apparently, attempts to open the file. If it can't, it sends it off for review by their staff. Sometime in the next day or 2, I get an email telling me whether it has passed or not. None of my 3 attempts passed. In my rejection notice, they said I could send them the file directly and ask what's wrong. That's when I got a nice primer on vector vs. pixel graphics. I needed to use a tool like Corel Draw, Illustrator or Inkscape. I chose Inkscape, it was free and runs on Linux. Yay for me. Yay for OSS. So here are my first 2 attempts at using vector graphics. 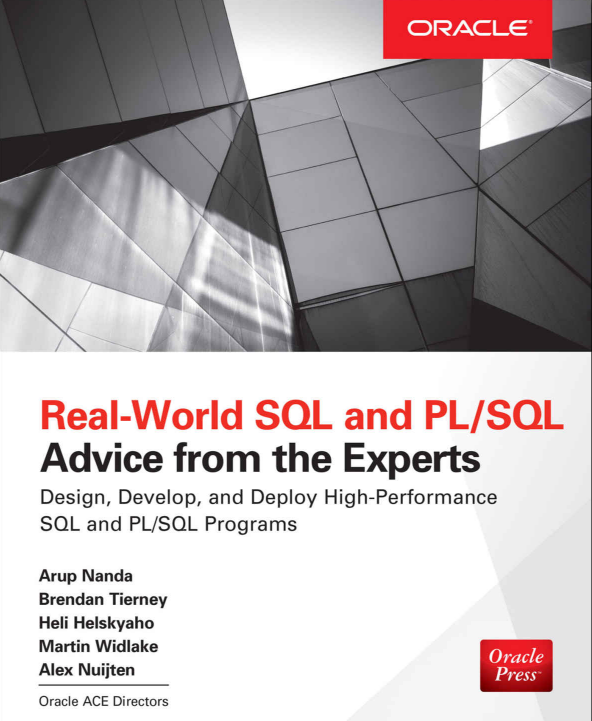 There's still time to get one before Oracle OpenWorld, just a little over 2 weeks away. Wow. Just a little over 2 weeks to go. Time certainly flies. As I'm wont to do, I've put off just about everything. For the last 2 weeks I've been scrambling to get a room. Two days ago I looked at the prices in downtown San Francisco and I thought I might be living sleeping on someone's floor, or sleeping on the street (don't think I haven't done that). It was even more serious because I had promised a friend of mine that I would cover his accommodations; he had helped me out last year when Kate got sick by buying me a ticket to get home immediately (end of the month, I was out of funds). Yesterday I finally scored a place through airbnb. Somewhere on Lombard street, Russian Hill? Whatever. 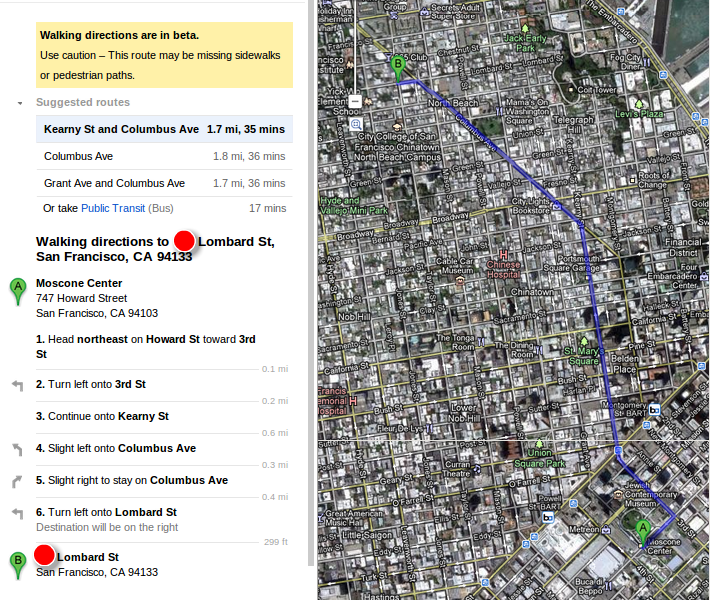 It's 1.7 miles to the Moscone Center. In San Francisco, 1.7 miles is nothing. Far too many great distractions (people watching) for it to feel like a long walk. Bonus points for staying (getting) in shape while there. Bonus points for helping the effects of the beer wear off before sleep. Negative bonus points if I get lost, which I will, especially if I am alone. No sherpa this year unfortunately. As soon as I booked my room, I booked my flight. They're still cheap too. I haven't even looked at the sessions yet. Shocking. - Sunday - Oracle ACE dinner thingy. - Monday - Customer meeting and OTN party. - Tuesday - Nothing yet. - Friday - OBIEE Meetup thingy with product development. Somewhere in there I'm supposed to fight with Kellyn Pot'Vin. Additional fun will be a repeat of last year's game, The Piwowar challenge. Personally, I like Pot' Wen(ch), but that might get me punched again. I've been throwing a little bit too. They have this Home Run Derby...area, where I can go and throw my arm out trying to see how hard I can throw after 10 years. I may be in a sling after the first day. It's gonna be a hoot. So excited to hang out with a bunch of smart, passionate people and talk shop (or beer). I don't think I've left my house in weeks, I really need to get out. For the past couple of years George Woods has been compiling a list of Twitterites who will be attending Oracle OpenWord. 2009 and 2010. I realized this year I hadn't seen it yet, so I emailed him. Unfortunately he will be unable to attend, he's working with that other database right now. There is no planned event for us yet, but it can't hurt to have if something does come up. If you plan on attending, please fill out this simple form; twitter handle is the only thing required. You can find the document here. If I can figure out how to embed the list here, I will do so. OK, I just stole the iframe method from the above form. It's ugly, but it's better than nothing. If you know of a better (and easy) way, let me know. I'm in the process of building out a tip-to-tail dev/test system that includes the components from OBIA. I recently rebuilt my EBS instance. I put my last go at it on a removable disk and seem to have misplaced it. This will be part of a series of posts describing the entire process. I don't do it often enough and so I have to "remember" what I did, now I'll have my own reference. As usual, this is running in a VirtualBox virtual machine. I grabbed the download from edelivery, file name is: V26109-01.zip. 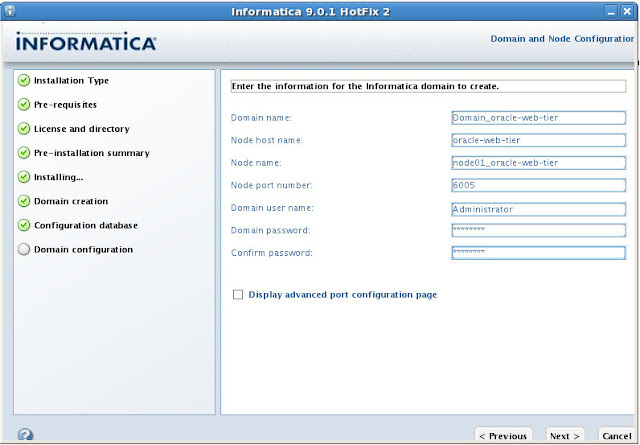 - OBIA Installation Guide for Informatica PowerCenter Users Release 7.9.6.3: Specifically this section, Installing Informatica PowerCenter Services. 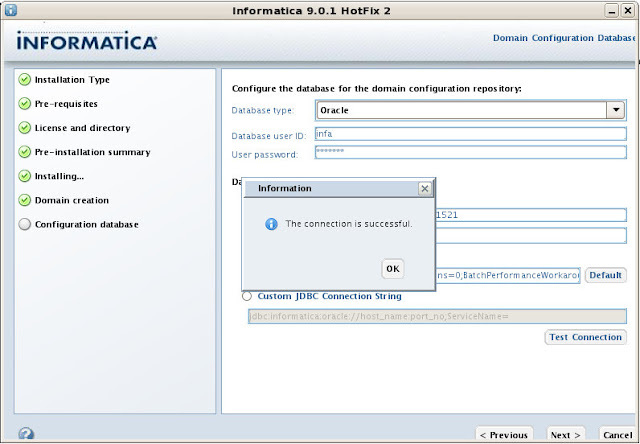 Step 1, create a database account. It is simply easier, for now, to do it this way. 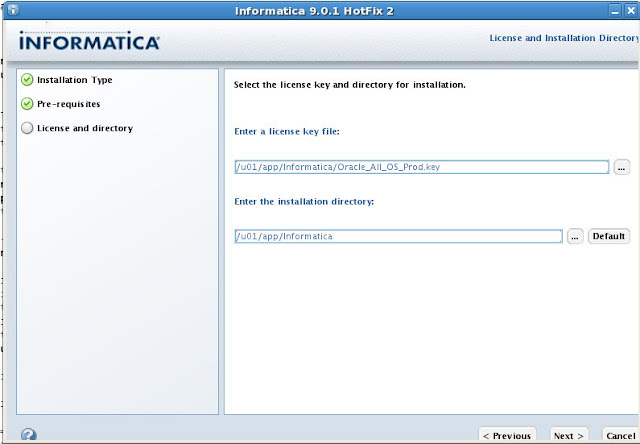 Step 2, unzip the files on your system. Do you want to continue installation (y/n) ? 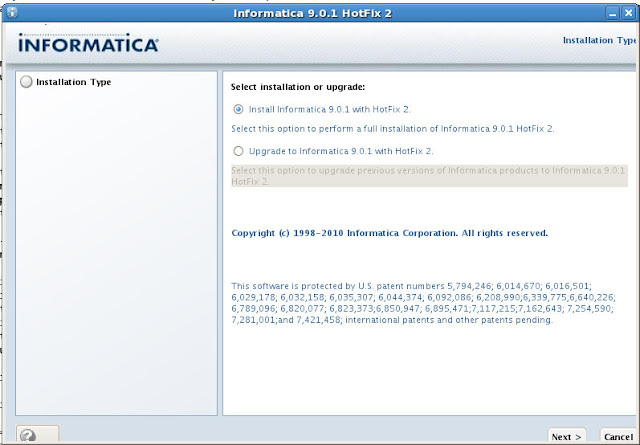 Before you continue, read the 9.0.1 HotFix 2 Installation Guide and Release Notes. 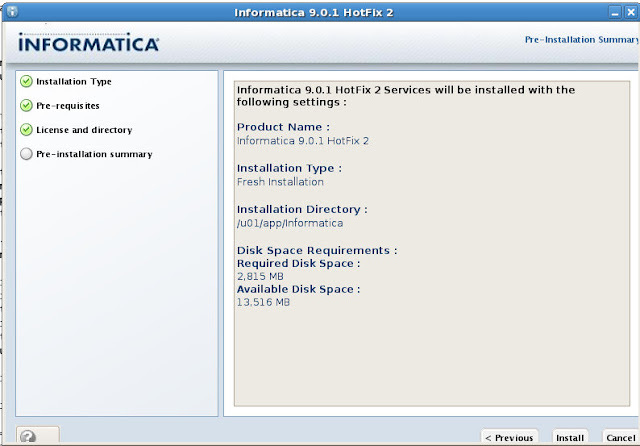 Installer requires operating system Linux version 2.6 and later. 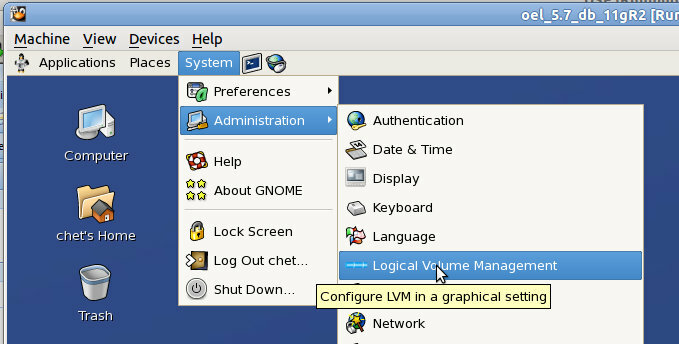 Current operating system Linux version 2.6. 2. 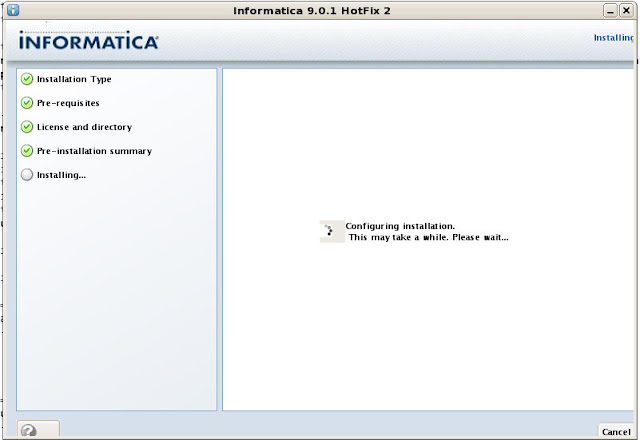 Apply Informatica 9.0.1 Hot Fix 2 to existing 9.0.1 install. 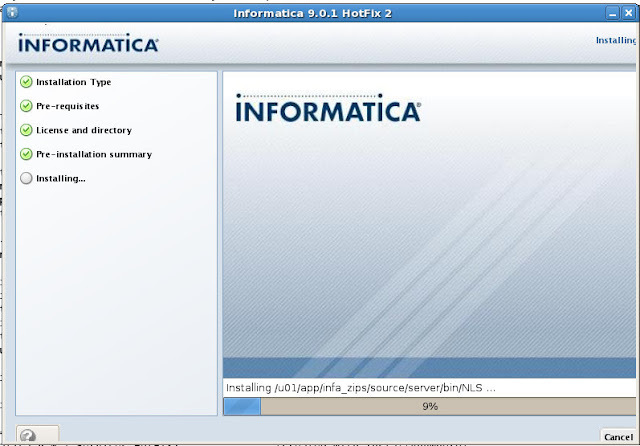 Checking for existing 9.0.1 HotFix 2 product installation. 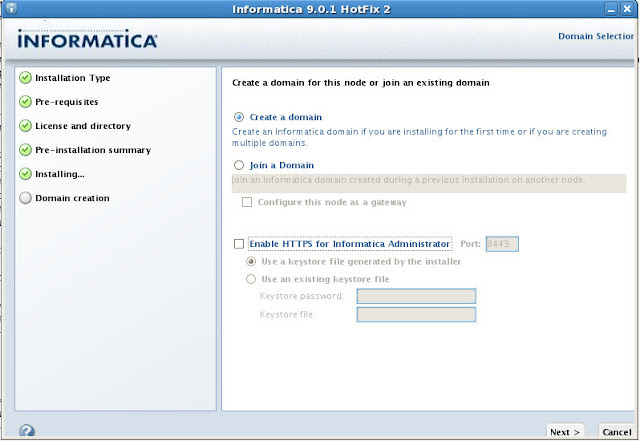 Create a domain and Enable HTTPS. Enable HTTPS is checked by default, I won't be using it. 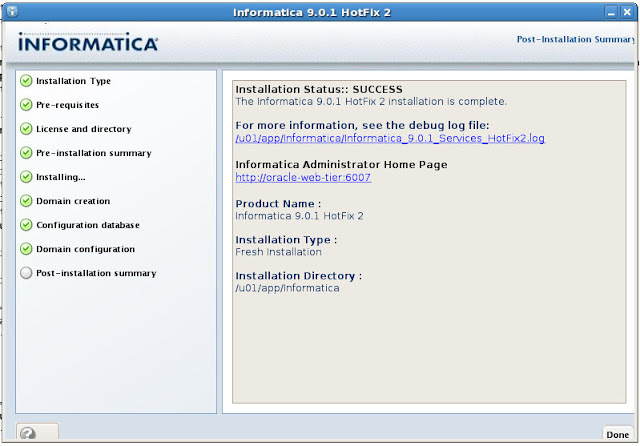 To verify your installation, open up http://localhost:6007/administrator/, username is administrator and the password is the one you supplied during installation. You'll be redirected to this page. 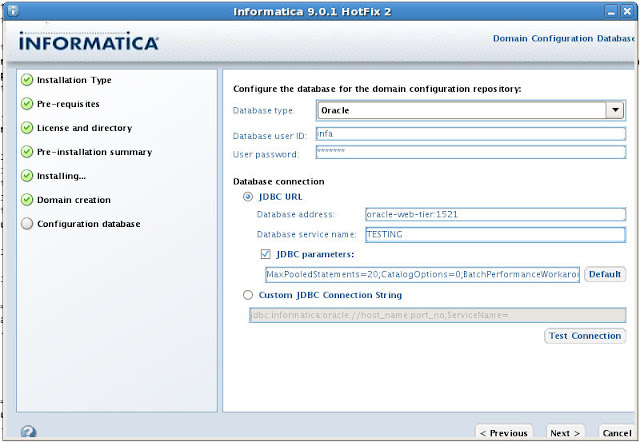 Next steps will be to cover the Information Repository Service and Informatica Integration Service. That of couse, is later. Pythian Acquires "Dude Who Gets Stuff Done"
Pythian, the world's leading remote DBA service company, has announced the (non-hostile) acquisition of John Piwowar. ...Starting today, I begin the "on-boarding" process at Pythian, as a member of one of their ERP teams. I think it's obvious from John's post how excited he is. I am excited for him too. John's an awesome dude, sherpa (for me), protector (of me, from myself), and DBA. OK, this didn't turn out as funny as I had intended, whatever. Great move for both parties. Can't wait to see what John does with the vast resources available to him now. 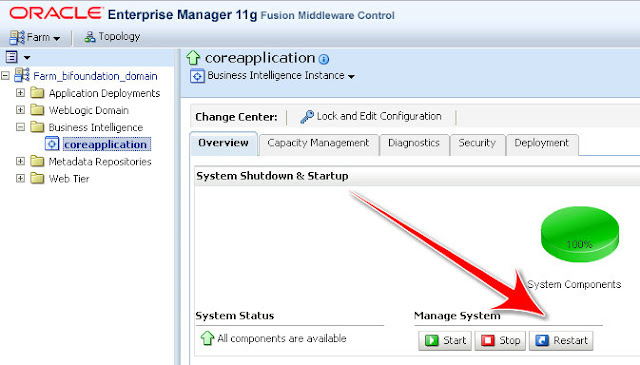 Previously I wrote about how to start and stop individual components via Enterprise Manager. 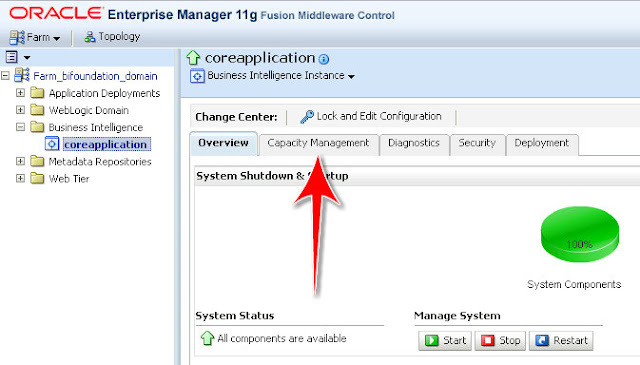 This time, I'm going to run through the manual steps to do the same, start and stop individual components using the Oracle Process Manager and Notification Server (OPMN) Tool. 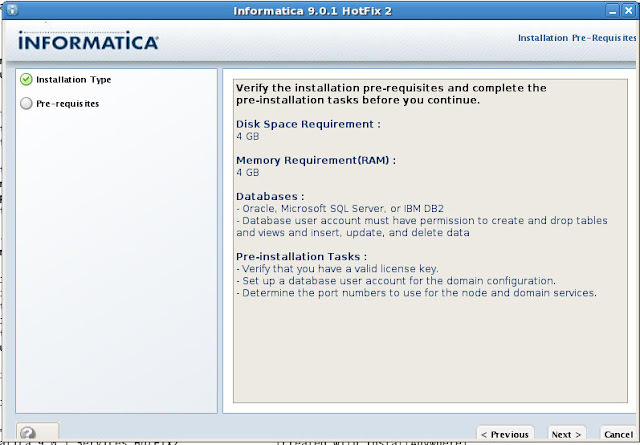 drwx------  3 oracle dba 4.0K Aug 16 00:53 .
drwx------ 14 oracle dba 4.0K Sep  8 17:09 ..
All of the components are running. Good. Let's shut down everything. opmnctl status: opmn is not running. And bring everything back up. 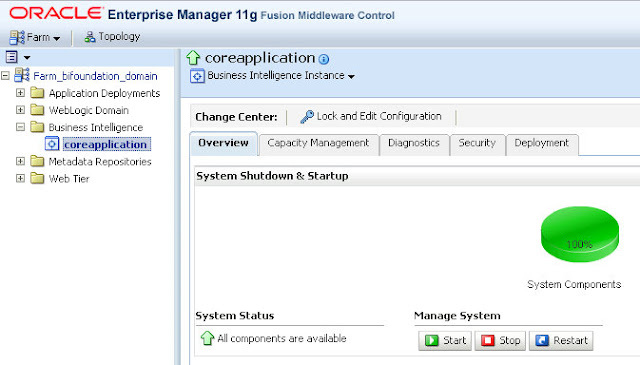 No processes or applications match the specified configuration. Finally, bring the BI Server back up. Yesterday I was having problems simply converting the Usage Tracking catalog. It may or may not be related to having Web Tier (or any other non-OBIEE component) installed, I can't say with certainty though. The reason that you have to convert/upgrade the Usage Tracking RPD/Web Catalog is because a pre 11g version was inadvertently shipped. Good news though, if you have upgrade issues like I've had, you can get an 11g copy of the RPD (both 11.1.1.3 and 11.1.1.5) on MOS. No upgraded web catalog though. I managed to merge the Usage Tracking metadata into my RPD, then I was off to make the web catalog work. 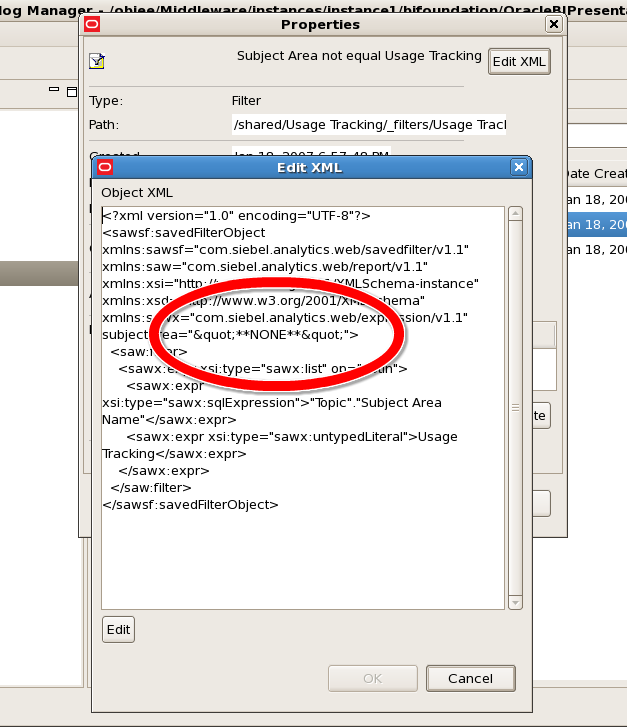 I copied the Usage Tracking web catalog over to the SampleAppLIte web catalog and tried to run it. I went in and played with the permissions, restarted the server, nothing worked. I kept getting the same message. Twitter machine to the rescue. I started to go through the criteria for one specific report. The only thing that jumped out at me was that none of the folder qualifiers had quotes around them, like Measures. "Some Measure". That's OK, because there is no space. I replaced each and every criteria in the report, ran it, same error. I replaced **NONE** with Usage Tracking, reloaded the metadata (and bounced the server for good measure), and voila! Amusingly, the Usage Tracking components (RPD, Web Catalog) must be upgraded from 10g to 11g (11.1.1.5 for me). Not sure how this was missed, but it was. I've run through the Upgrade Assistant multiple times, each one failing. [ecid: 0000J97r9aPFw000jzwkno1EQ6_m000004,0] Starting to upgrade BIEE. Finished upgrading BIEE with status: Failure. 0 components upgraded with success. 1 components upgraded with failure. 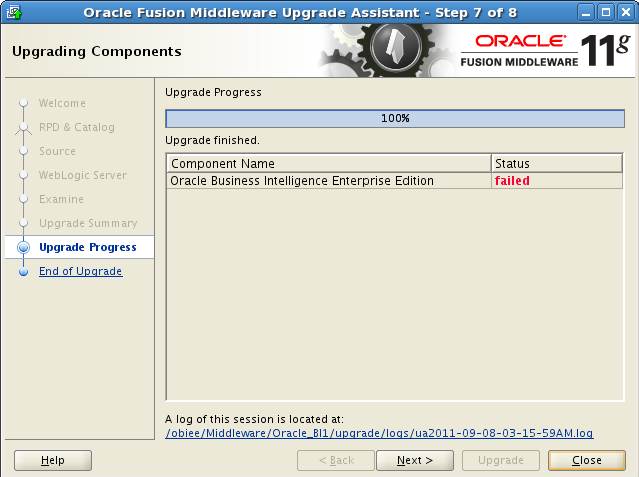 My Oracle Support (MOS) didn't turn up any hits on that error number. The Google Machine did though. This OTN Forum post has the same exact problem. It appears that Merlin128 is talking to him or herself. I'm ok with that. I tried that, commented out the second ias-instance section and restarted all the services (Linux 64). Run the Upgrade Assistant, no joy. With a little more research on MOS, I found note ID 1336567.1 which provides an 11.1.1.3 and 11.1.1.5 RPD. Yay. 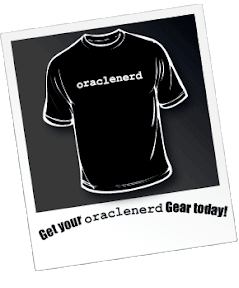 The UsageTracking.rpd shipped is actually a pre 11.1.1.3 version and cannot be opened in the current versions of OBIEE 11g Administrator. It was shipped inadvertently. All was not lost, I did find the master note for Usage Tracking Issues, ID 1293415.1. So, I can't open the Usage Tracking web catalog in Catalog Manager (runcat.sh). I tried to deploy just the Usage Tracking catalog...and the BI Presentation server wouldn't come back up. Upgrade Assistant still doesn't work. Cause: An unexpected upgrade exception has occurred. 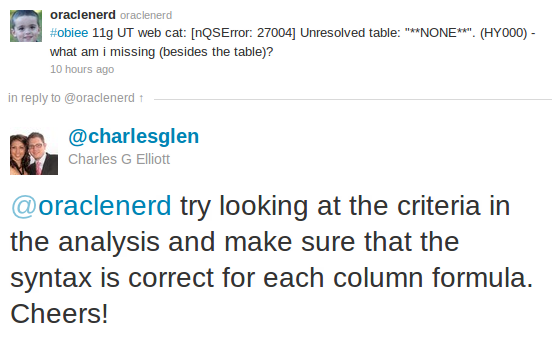 Action: See the secondary error message for additional details. 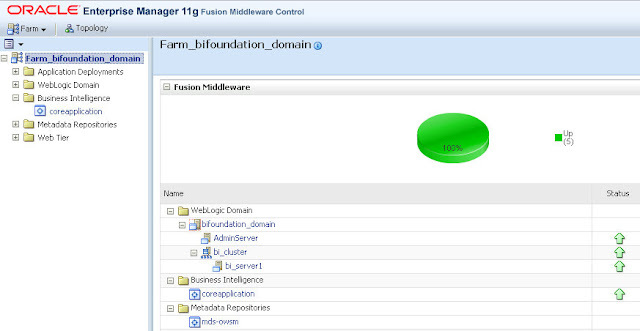 That VM has Essbase, amongst other components. I speculate there is some sort of (yet unknown) weirdness going on when you don't have a straight (just OBIEE) install. I decided to blow away one of my newly created databases. Instead of using the DBCA, I decided to try it manually. Barnacles. Perhaps the Administrator's Guide has something. Many of you know I'm still relatively new to non-Windows platforms. I've been running Ubuntu (from 9.04 > 11.04) at home for a few years now though, in an effort to better understand what I am doing when I don't have to just point-and-click. Fortunately for me, Ubuntu has a pretty slick UI so it's not all done at the command line. 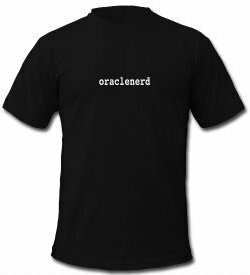 During that same time, I've taken to using Oracle Enterprise Linux for all my software installs, from the database (11gR1 > 11gR2), OBIEE (10.1.3.4 > 11.1.1.5), Informatica components, so on and so forth. I can say with all honesty now, that I would prefer a nix install over a Windows 2008 Server install (security being the biggest issue I have, not that it's bad, I have no idea...let's just say I find it annoying that if I can install the software, I should have access to the directories...which apparently I don't). All of my testing is done with VirtualBox. For my XP virtual machines, I've gotten to the point where I simply clone an existing "base" VDI and use that (for clients mostly, and some OBIEE software). Often times I'll allocate n GBs of space. Occasionally, like with my first few attempts with OBIEE, I don't allocate enough space. 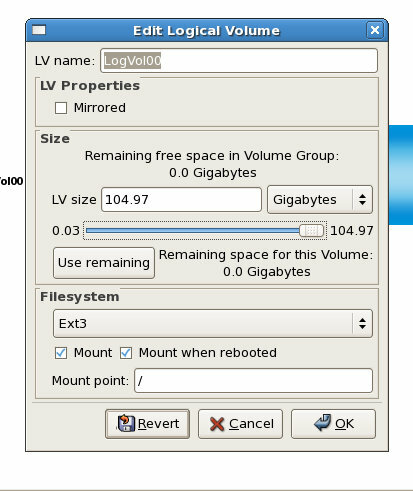 For me, that means recreating the entire VM with n + x number of GBs. Silly, I know. I don't have to do that any longer, I finally learned how to add space without starting from scratch. Yay for me. 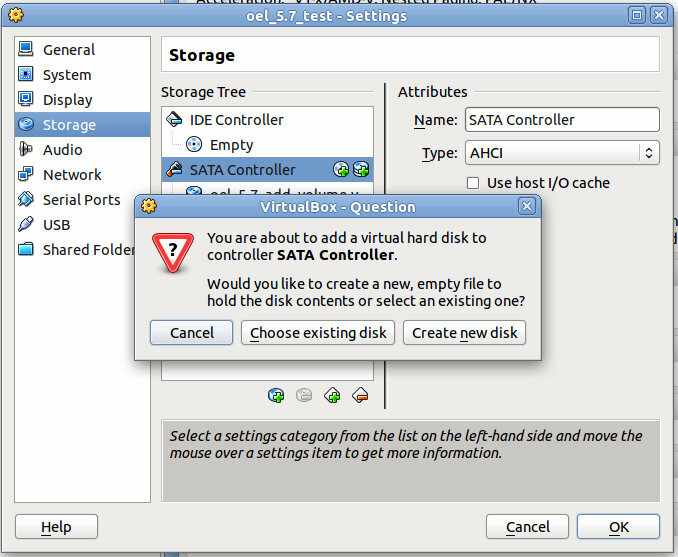 First up, I go into the settings of the VM (while stopped, of course) and add a new SATA controller. I select Create new disk. Please ignore the "10" GBs part, I had taken those screenshots last week. I'm actually adding 100 GBs for the remainder of this exercise. I choose a location, name it and give it a size in GBs. 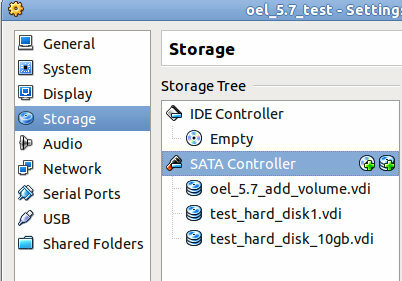 So now I fire up my VM (OEL 5.7), go to System > Administration > Logical Volume Managment. You'll be prompted for the root password. Under the Uninitialized Entities, you should see the disk you just added. Select Initialize Entry. 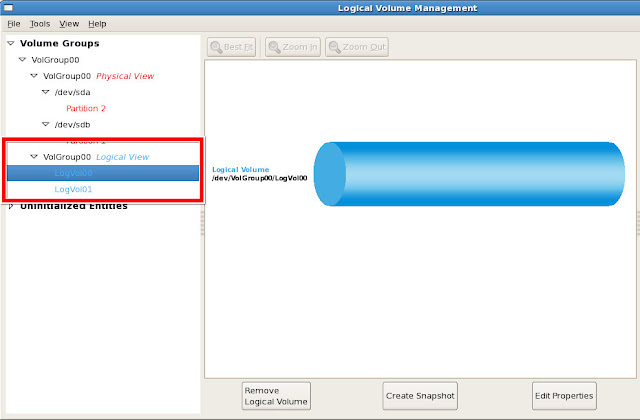 Now it's migraterd up to your Unallocated Volumes section. 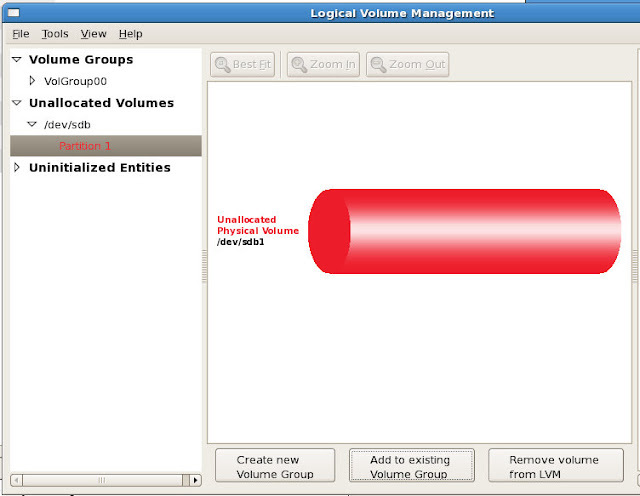 Add to existing Volume Group. 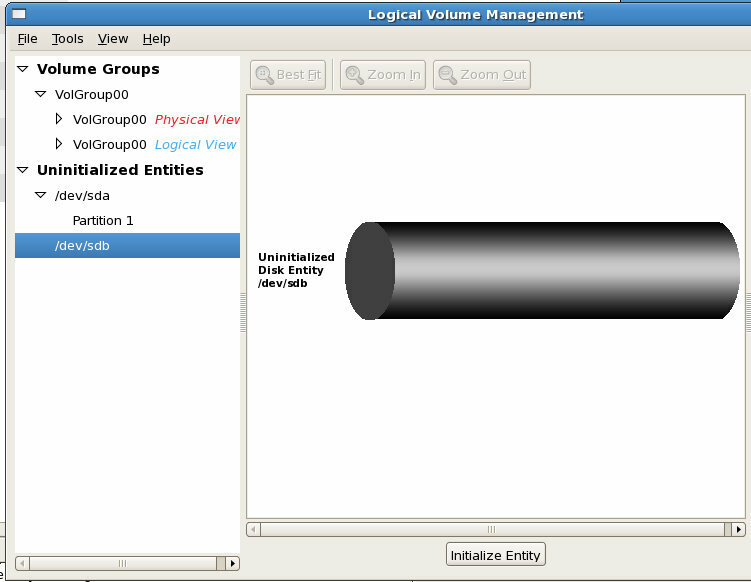 You should be prompted with your currently existing Volume Group, in my case, VolGroup00. Select it and then click Add. 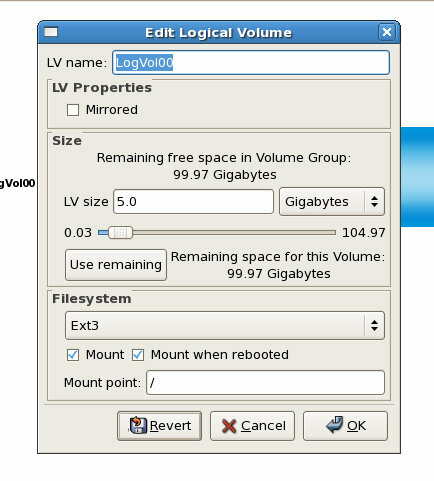 You'll be prompted with the Edit Logical Volume dialog. 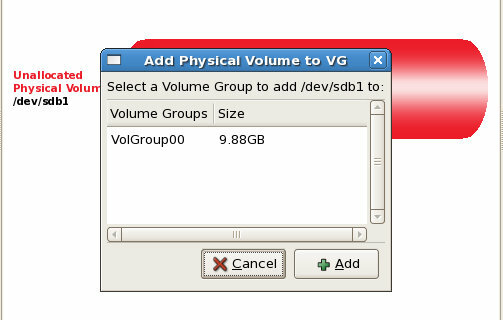 On the slider, you can see that it goes up to 104.97 and just below that a, "Use remaining space for this volume: 99.97 Gigabytes"
Now you can usee that VolGroup00 has 2 physical volumes which comprise it, sda2 and sdb1, sdb1 is the one I've just added. To the right, you can see the Volume Group Size is now 109.84. Someday I'll figure out how to add different disks (well, technically they are different disks, just logically only 1) so that I can layout my tablespaces a bit better. For now though, no more recreating virtual machines just because I didn't plan well enough. I haven't done much with the T-Shirt collection lately. For whatever reason, I finally decided to do one in pink. 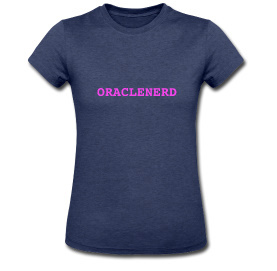 You have one month until Oracle OpenWorld...and did I mention it goes to a good cause?